I love eating healthy and a lot of the recipes I post are healthy ones. In fact here's a link to most of them. Healthy Recipes. 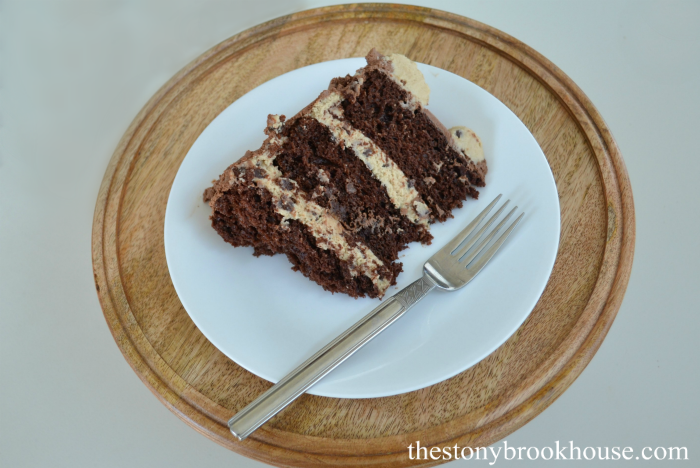 But everyone needs to have a slice of deliciousness on their birthday! 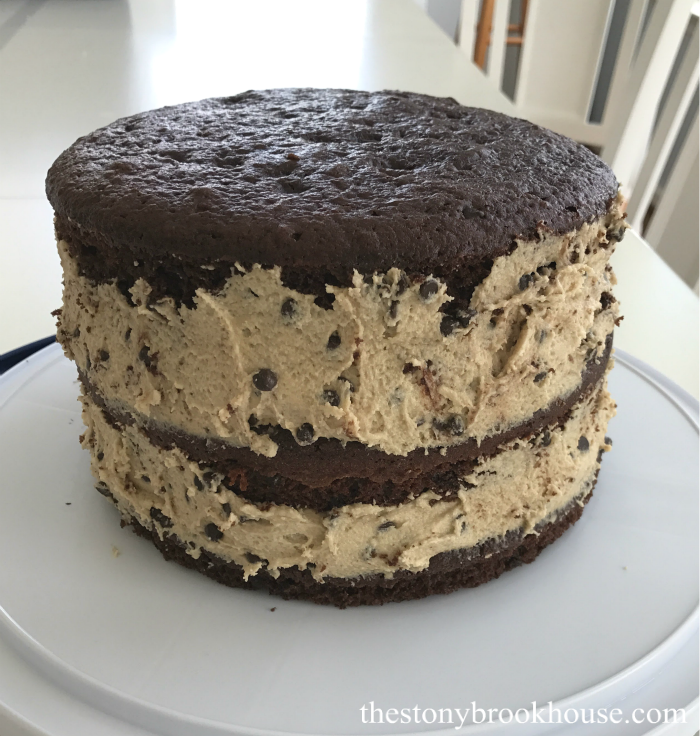 I love to bake and in the last couple of years, I've kind of taken on the 'duty' of baking family members a cake of their choice. I say 'duty' because I don't know what else to call it. I love making them and trying to find something different and delicious is half the fun! I haven't blogged on all of them, but the ones I have, I'll link up at the bottom. 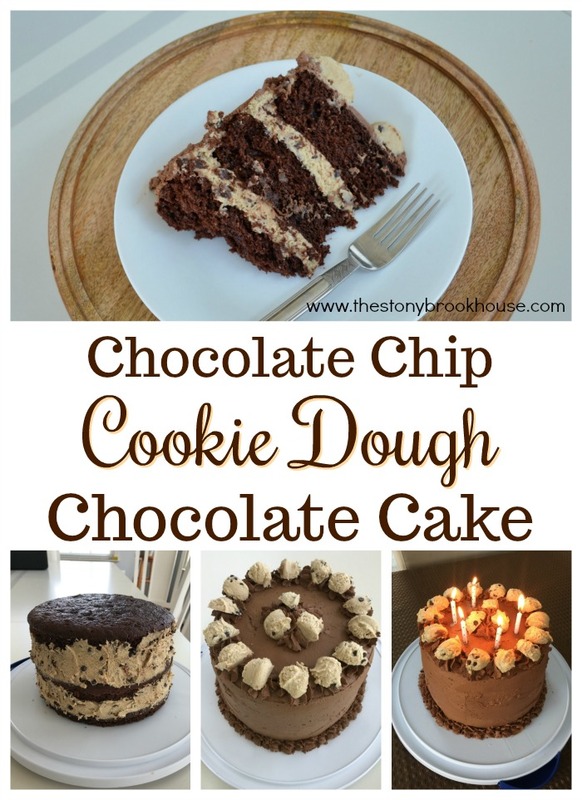 I mentioned something to my SIL about his cake and she said, "Oh, he loves cookie dough." That did it! I went on the hunt! Pinterest! Now, I combine several recipes to make my cakes, so I'm not reproducing someone else's recipe, and there is always a little more tweaking here and there. 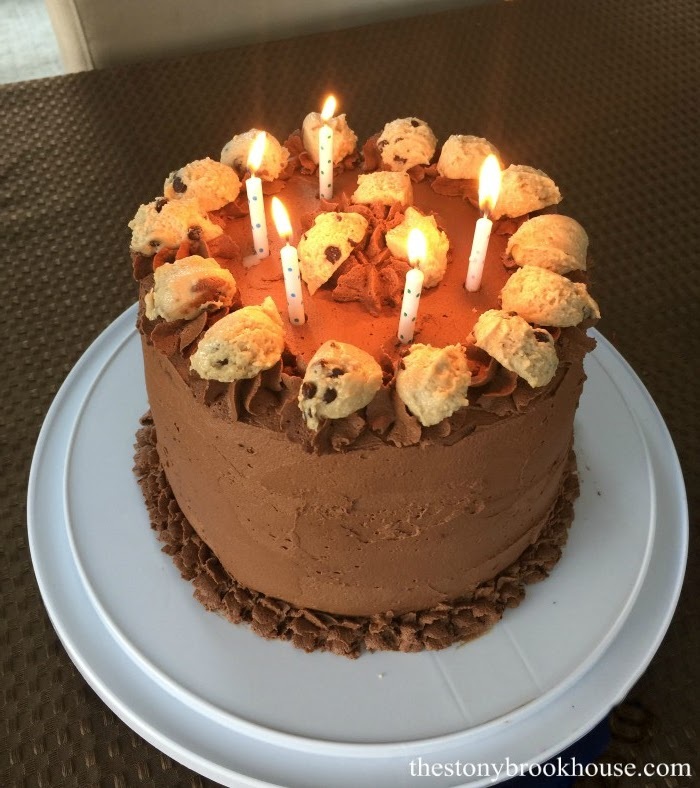 So, I made a chocolate cake, with cookie dough filling, frosted with whipped chocolate ganache and chocolate chip cookie dough balls on top. Sounds good, right?! 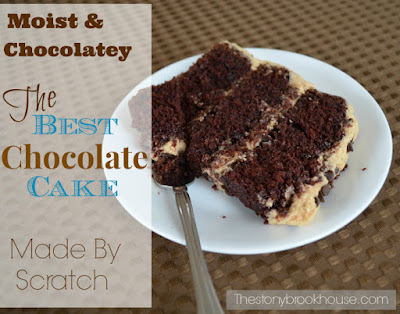 The chocolate cake is basically a doctored up box cake. 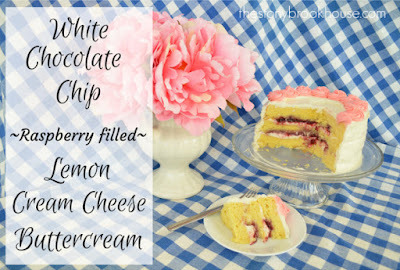 Which is super easy to do and you can do this with any flavor cake. This will be a super rich, dense, moist cake. A little tip... cut a circle of parchment paper to put in the cake pan. I ignored this tip once, and it was almost impossible to get the cake out without it breaking. The cookie dough filling was the more tricky part. In fact, I could have thinned it a bit more and it would have been easier to spread. The last part was the whipped chocolate ganache. Super easy to make! With dynamite flavor! Intense, rich and delicious cake! Does not disappoint! Beat brown sugar and butter until nice and fluffy. Add vanilla and beat again. Add flour and salt and mix. This is where you add heavy cream for the desired consistency. Then fold in mini chocolate chips. Layer in between cakes. For dough balls: I used the leftover filling and scooped with my cookie scoop and placed on wax paper and froze in the freezer for 1 hour. Heat heavy cream in the microwave for a minute or two. You will see it bubble a bit. Then add chocolate chips and set it on the counter for 10 minutes. 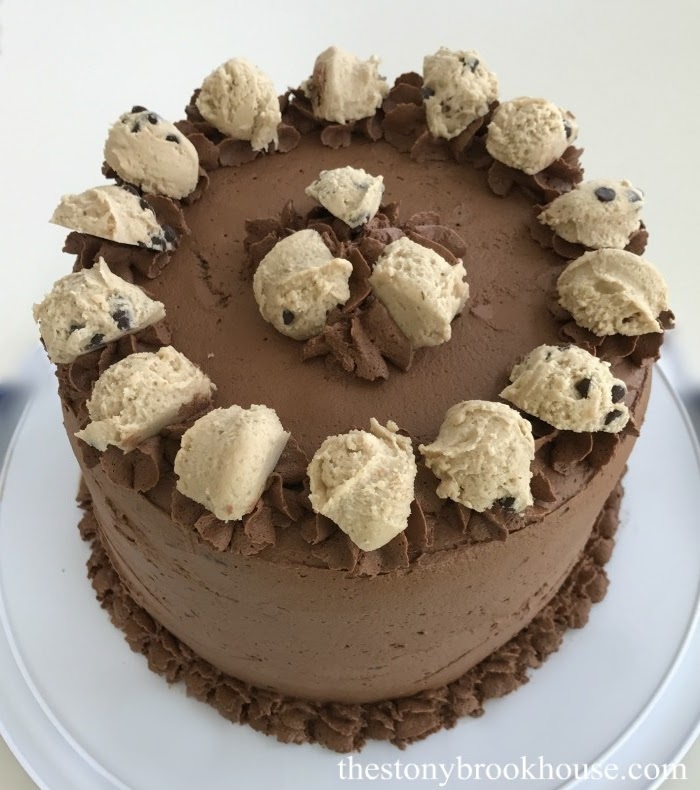 The chocolate chips will melt. After the 10 minutes, stir it up really good and let it cool to room temperature. It will thicken some. Assemble your cake while this is cooling. This icing is easiest to work with right after it is mixed. Transfer chocolate liquid to a mixing bowl and beat with an electric mixer or stand up mixer. Start on medium and move to high after it has thickened some more and won't spray all over. Keep an eye on it. It will thicken to a frosting texture after 5-10 minutes. Then spread over your cake immediately. Here's some of the other cakes I've made and featured here. This looks great! I've pinned it for future reference!